Deputy Phung Duc Tien from Ha Nam said that the revised law that had expanding rights for Vietnamese overseas and foreigners to do business in real estate was the right decision. According to the current law, foreigners and overseas Vietnamese are permitted to do business in real estate under through investing in building housing and constructions for selling, renting and leasing, rent land, and to invest in land improvement and construct infrastructure on such land but are currently not permitted to buy and lease properties then sell or re-lease them. The new law will remove these restrictions. However Tien said during the past time some projects which had been granted licences to Vietnamese overseas and foreigners had revealed weak financial capability and could not been implemented. Tien added the legal and financial capability of foreign and Vietnamese overseas investors must be carefully analysed in order to ensure the feasibility of any project. Moreover, Tien also said that foreign investors doing business in the real estate sector should be forced to buy insurance for their projects. Than Duc Nam, a deputy from Danang said that the revised law should impose simpler regulations on permitting overseas Vietnamese to transfer projects to domestic investors without having to change the function of the project. “This permission will help reduce procedures for both buyers and sellers,” Nam said. 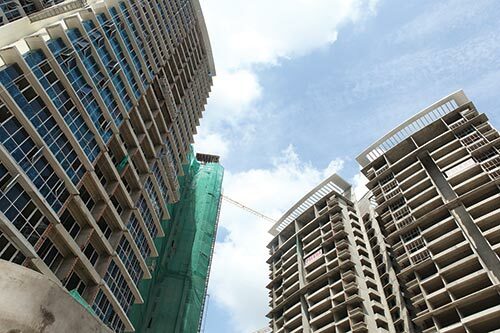 Meanwhile deputy Le Cong Dinh from Long An province expressed his concern that the revised law still faced problems as deposits put down by clients were being used by developers to invest in other projects. Tien argued that this loophole meant that the real estate market could still be prone to speculative behaviour and instability and developments could be delayed due to a lack of capital. Another argument focused on the current regulations that force real estate activities to be conducted by trading floors. While Dinh agreed that the abolishing such trading floors was reasonable because it only added red tape to already complicated procedures. However Tran Duc Dien, director of the Maxland Transaction Floor unsurprisingly said that the transaction floors have proved useful as a link between the sellers and the buyers. The floors had helped many buyers successfully chose suitable properties. Vu Cuong Quyet, director of Dat Xanh North said that the transaction floor shouldn’t be abolished and instead become more professional in order to serve customers. Regarding the project transaction, Pham Van Tan from Nghe An province said that the procedures to transact projects must be simplified, especially for projects which had cleared land and already drafted detailed plans. In terms of selling off projects, Tan said the current law only allowed transactions when projects faced difficulties and could not be implemented. Instead he thought the revised law should make sales easier via acquisitions, mergers or buy-outs.